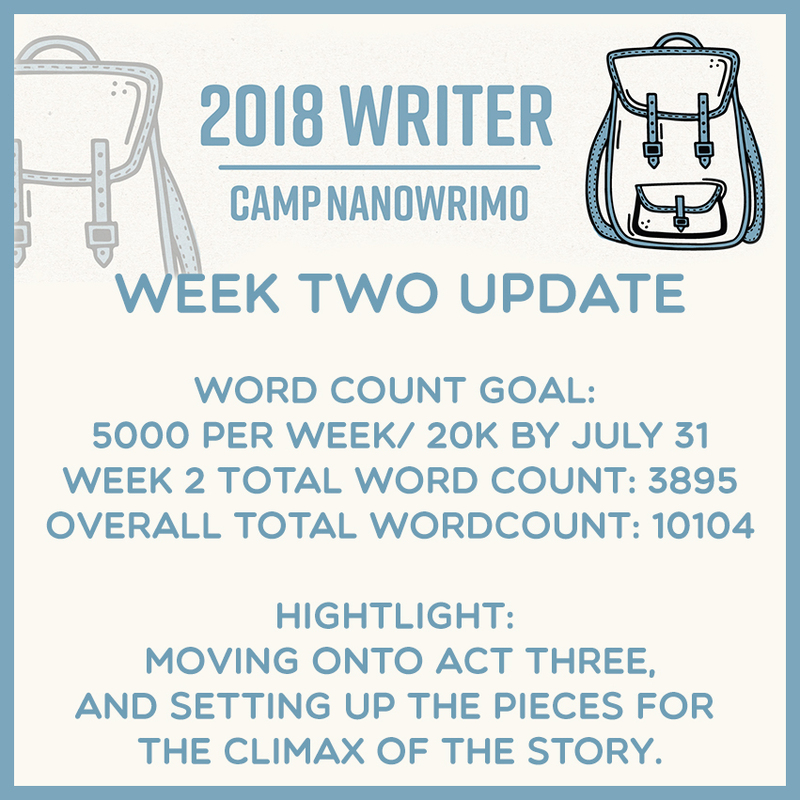 I'm back with another update on my CampNaNoWriMo progress. I didn't meet my self-set 5k target this week, because I took Thursday and Friday off, but because of my efforts in week one, I'm still on target to make 20k by the end of July. I just need to make sure I don't slack off next week, or all fall behind. Week two was mostly focused on the transition from act two to act three; dealing with the fall out of the thing that happened at the end of act two, and then setting up the building blocks for act three and the climax. It was some good stuff, but I'm excited to get back into more action-y type stuff as act three gets into full swing. 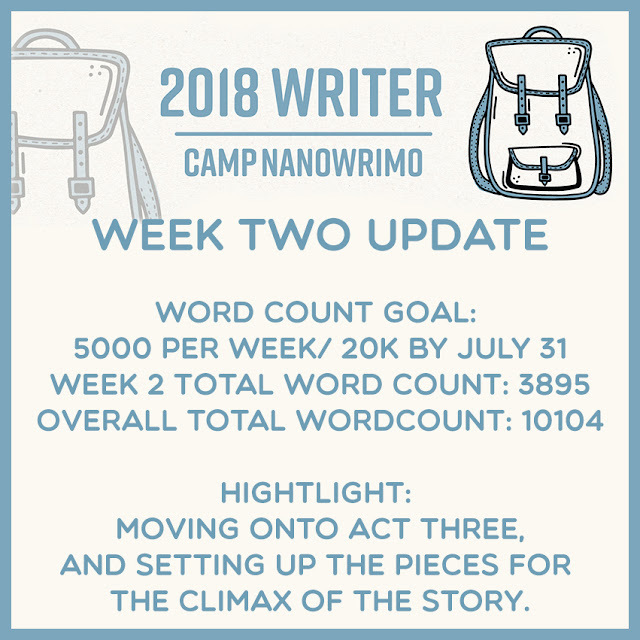 Is anyone else doing CampNaNoWriMo or working on something? If so, let me know in the comments. I'd love to know how you're getting on. Until next week, hope y'all have an awesome week!